When it comes to red velvet cupcakes, I'm pretty picky about how they tastes. 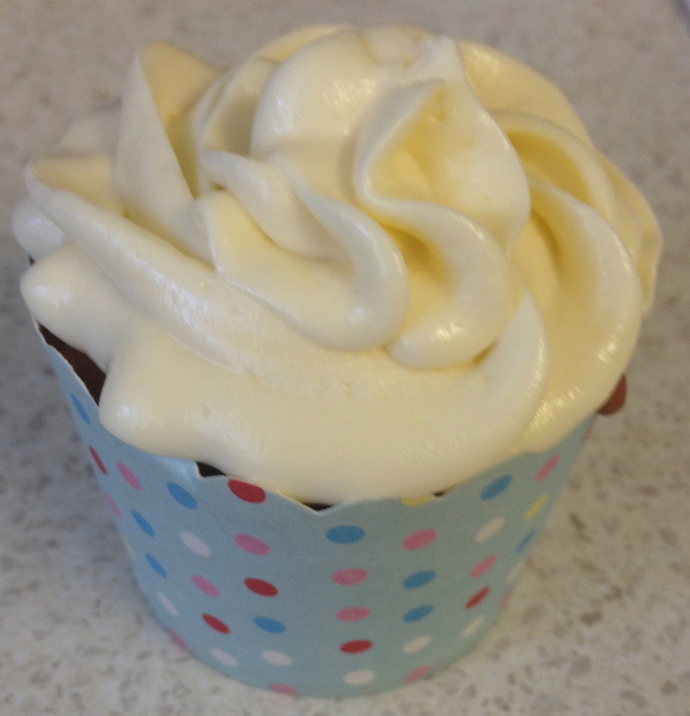 I've tried a number of red velvet cupcake recipes and I found that the cupcakes were either too dry and bland or the frosting was too thick and had an intense cream cheese flavour, they definitely weren't what I would call "velvety". In the end, I decided to try out a few different concepts from a number of red velvet recipes and ended up with this one. 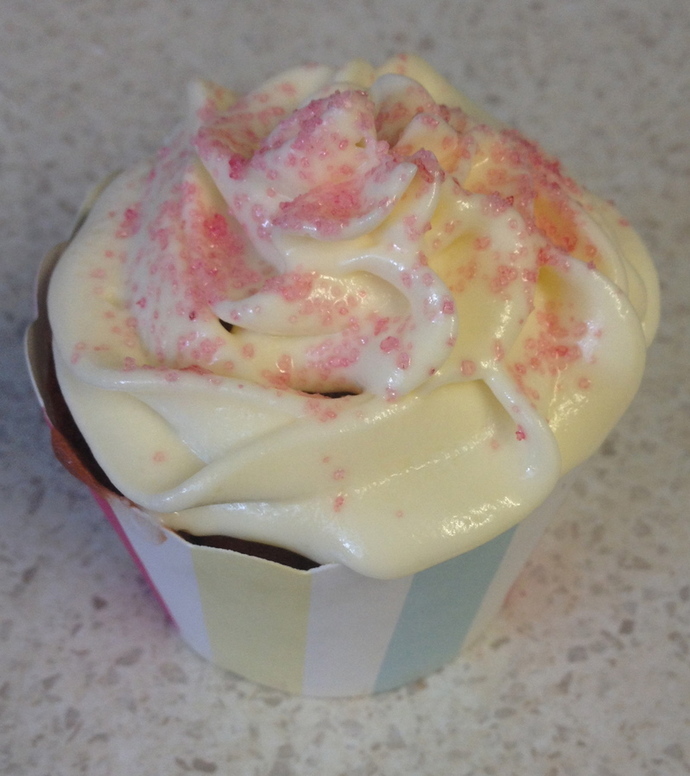 One of the things I love about this recipe, is that the cupcakes aren't the very bright, over-the-top red, they have a dark and deep red colour that resembles the classic red velvet cupcakes and they are also moist and fluffy. The frosting is one of the best things about this red velvet recipe because its smooth and the cream cheese is diluted with whipped cream and icing sugar to make an irresistible, and slightly addictive, frosting. 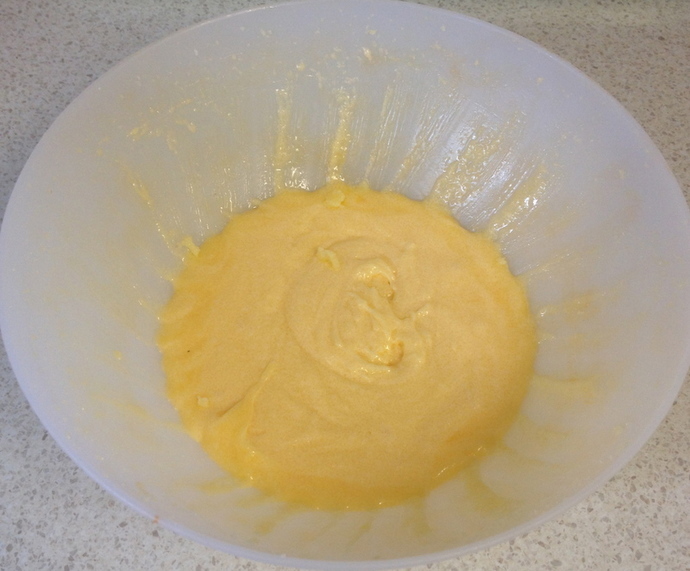 1 ¼ cups of plain flour. 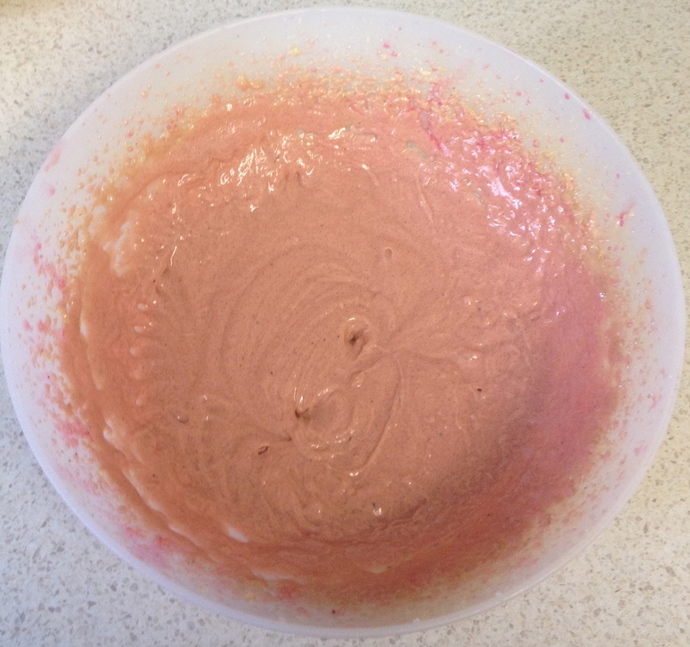 ¼ teaspoon of baking powder. 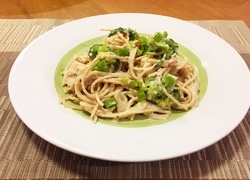 ½ cup of butter milk (if you don’t have buttermilk, add together ½ cup of milk with ½ tablespoon of lemon juice and set aside for 10 minutes before using). 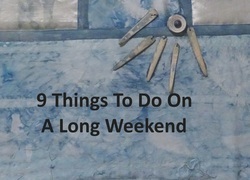 ½ teaspoon white distilled vinegar (if you don’t have distilled vinegar, substitute the same amount with lemon juice). 2/3 cup of heavy whipping cream, cold. Preheat the oven to 175 degrees C, making sure that the rack is in the middle of the oven, and line a muffin tray with 12 cupcake liners. 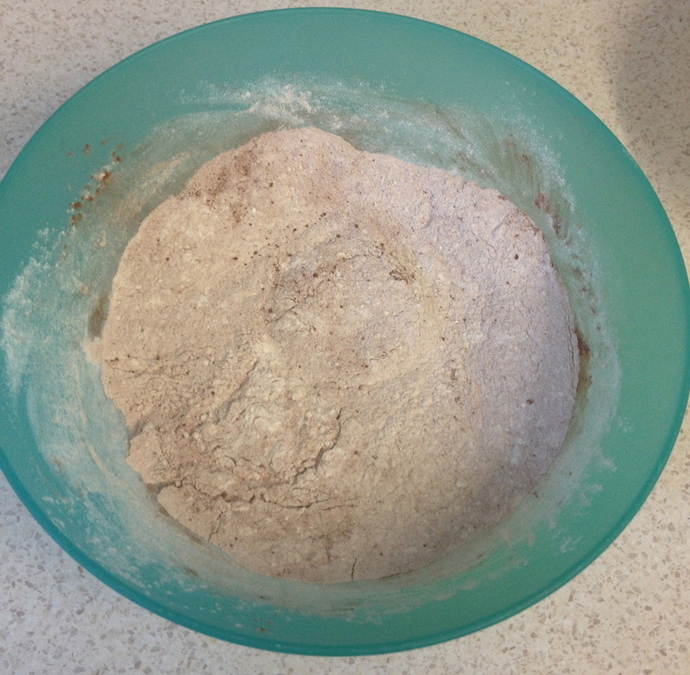 In a bowl, mix together the flour, baking powder, cocoa powder and salt and set aside. 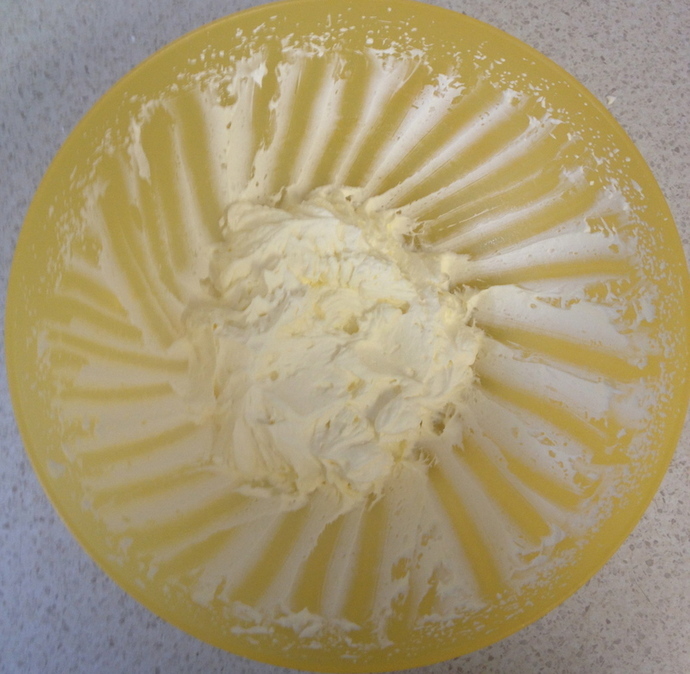 In another bowl, beat the butter until it is soft. Add the sugar and beat the ingredients until they are fluffy (this usually takes approximately 2-3 minutes). 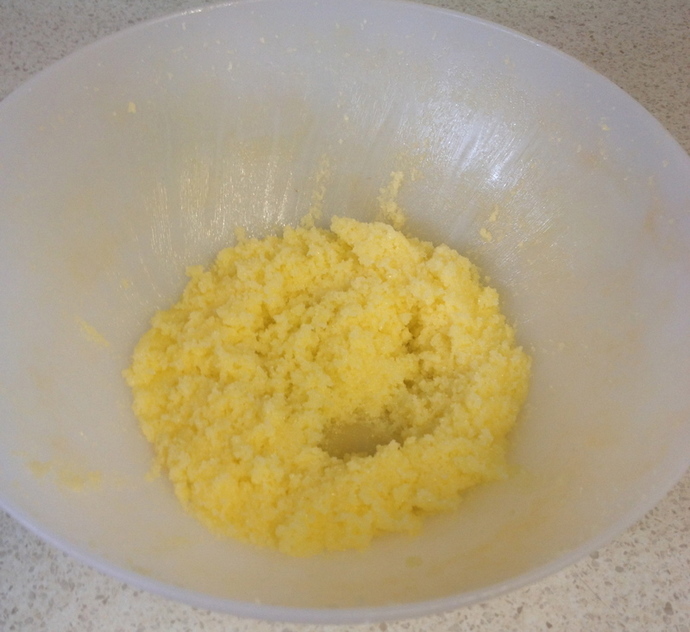 Add the egg and beat until it has incorporated and scrape down the sides of the bowl. Add in the vanilla essence and beat until it has combined. 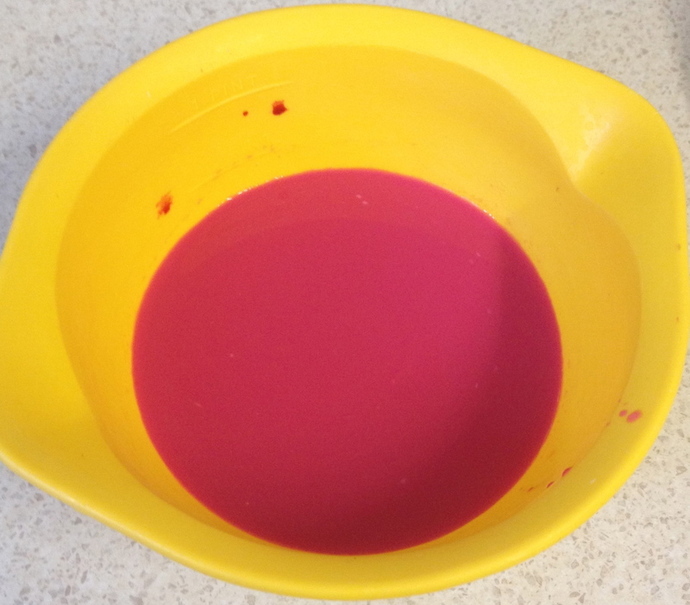 In a small bowl or plate, whisk together the buttermilk and the red food colouring. 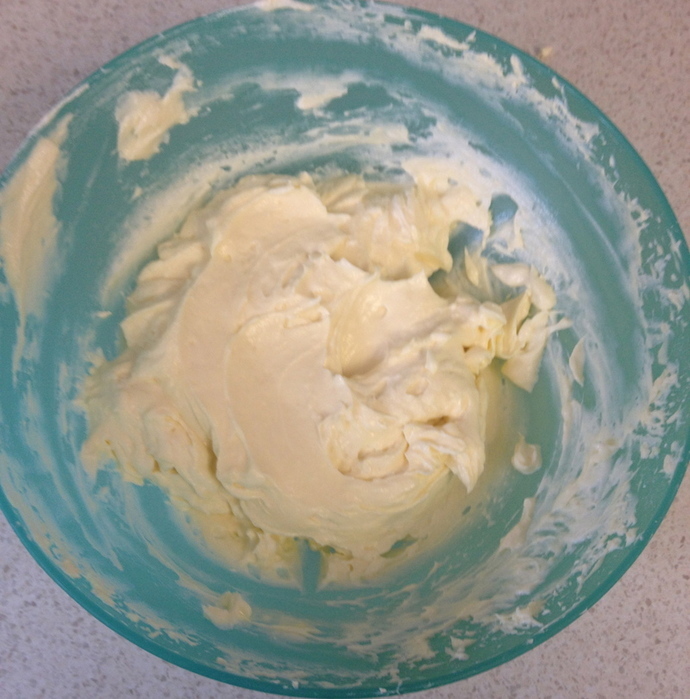 Add the flour mixture and the butter milk mixture alternatively to the butter mixture, making sure that you begin with the flour mixture and end with the flour mixture. Stir in the flour first. Keep alternating until there is nothing left. Remember to add the remaining flour last. 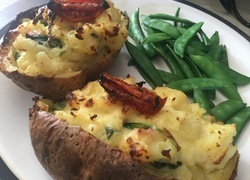 In a small bowl or plate, combine the vinegar and baking soda and quickly fold it to the batter once it starts to fizz. Quickly fill the cupcake liners and bake in the oven for approximately 18- 24 minutes, or until a toothpick inserted in the center of the cupcake comes out clean. 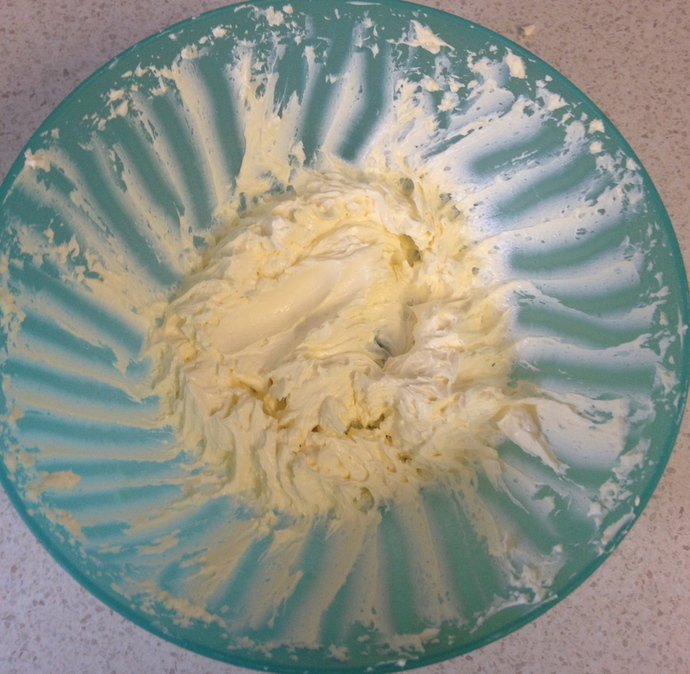 In a bowl, beat the cream cheese until it is smooth. 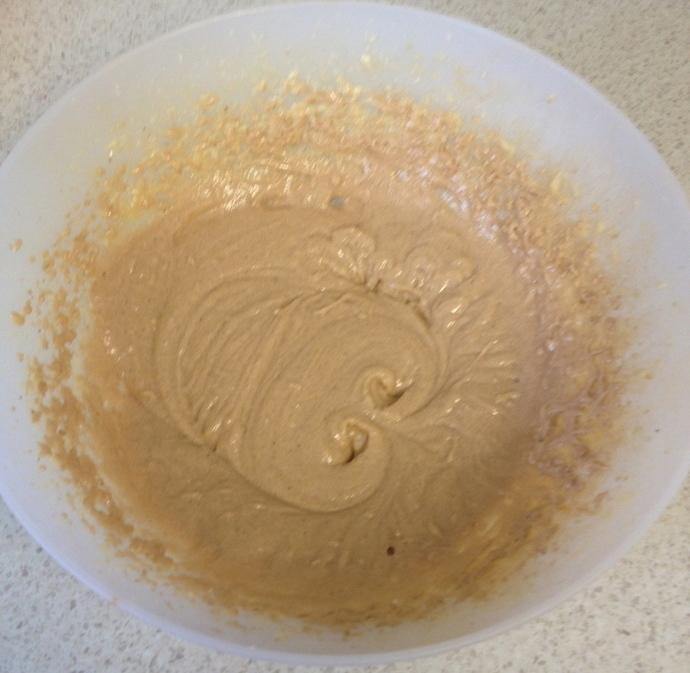 Add in the vanilla essence and icing sugar and beat until the mixture is smooth. 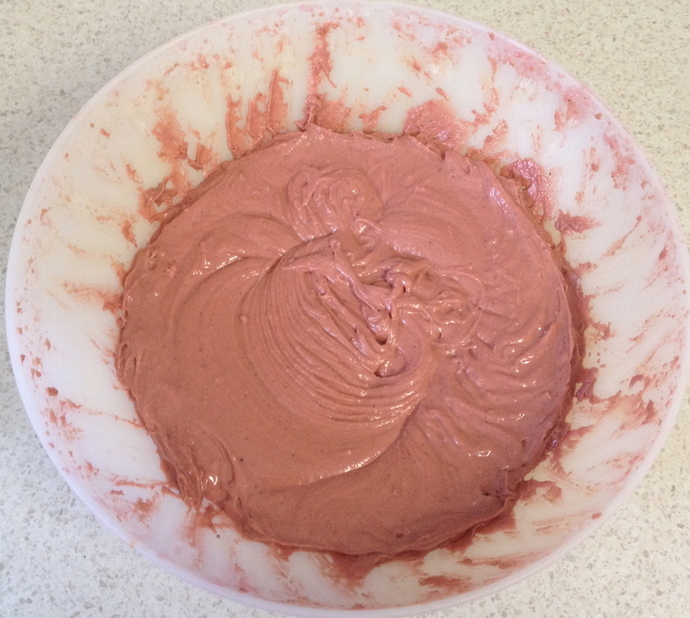 In a separate bowl, whip the cream until it forms stiff peaks. Gently stir it into the cream cheese until its combined. 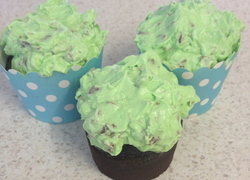 Either spoon the mixture onto the cupcakes or use an open star tip and pipe the frosting onto the cupcakes. 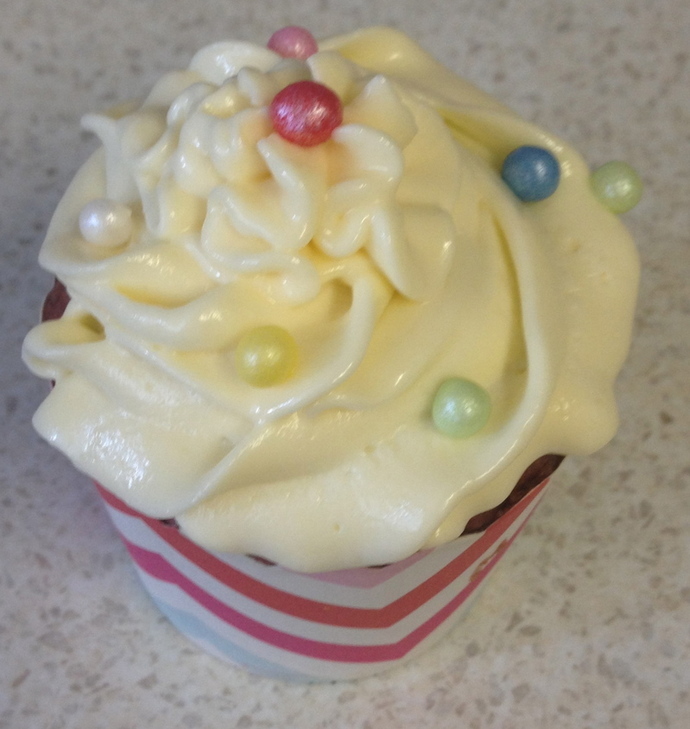 To add a little something more to the cupcakes, sprinkle over coloured sugar or soft sugar pearls.